Mumbai (formerly called Bombay) is a city of enterprise. 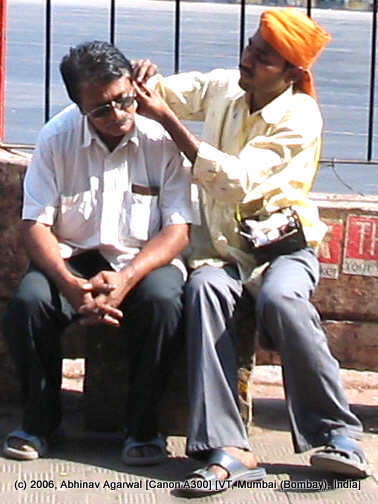 This is an image that has stayed with me... this person has found a need, namely, of cleaning people's ears, and has a mobile enterprise running out of a small pouch. Consider this: VT (Victoria Terminus, now known as Chattrapati Shivaji Terminus and a UN World Heritage Site) is one of the busiest places on Earth: a few million people pass through this square every single day. More than twenty lakh people alight or board trains at VT. So this dude has got the location funda figured out pat. As have thousands of people who ply some trade or the other here. 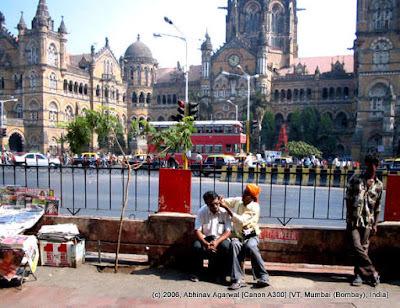 © 2007, Abhinav Agarwal. All rights reserved. Reposted to this blog 2011. Motilal Banarsidas Publishers, MLBD as they are also known, are the oldest publishing house in India, established in 1903. 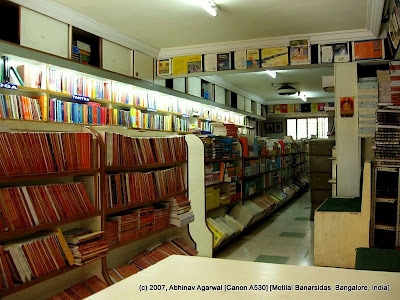 They identify themselves as 'Indological publishers', with books on such categories as Advaita Vedanta, Ancient Indian history, Bhakti, Buddhism, and more. According to this article, MLBD was incorporated with a capital of Rs 27, in (then part of pre-partition India) Lahore. 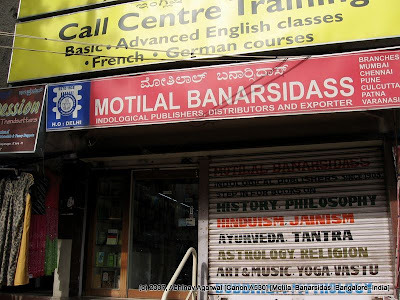 Motilal was the father, and Banarsidas the son (link). 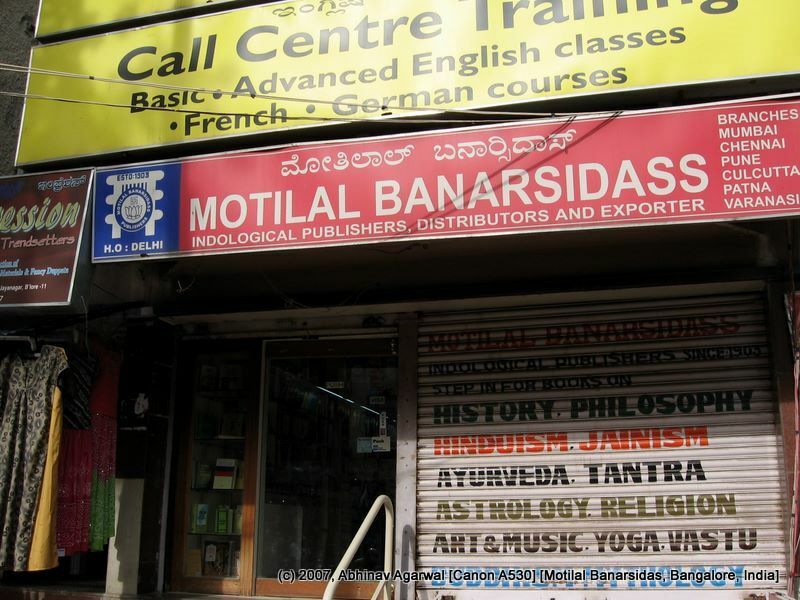 "When Banarsi Dass also died shortly after that in 1915, the responsibility for running the bookstore went to his younger brother, Sundar Lal Jain. Sundar Lal was soon joined by Shanti Lal, the only son of Banarsi Dass." They moved to Patna initially, and then to Delhi: "The first branch of the business was established in Patna (Bihar) in 1937. 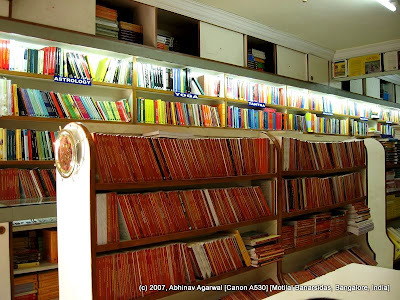 After Partition in 1948, when the Jain family home and publishing house were burned to the ground during the riots, the Jains moved their headquarters to their branch office in Patna. Three years after that, they relocated to Varanasi. In 1958, they moved one final time to New Delhi." According to their managing director, they are the world's largest publisher of books on Buddhist teachings.